Romney has promoted a thr…. Romney has promoted a three-prong rationale for how his professional experience dovetails with the expectations of our next president. First, Romney points to his record as a one-term governor of Massachusetts (2003 – 2007). Second, the Romney campaign touts his role as “the savior” of the 2002 Salt Lake City Winter Olympics. 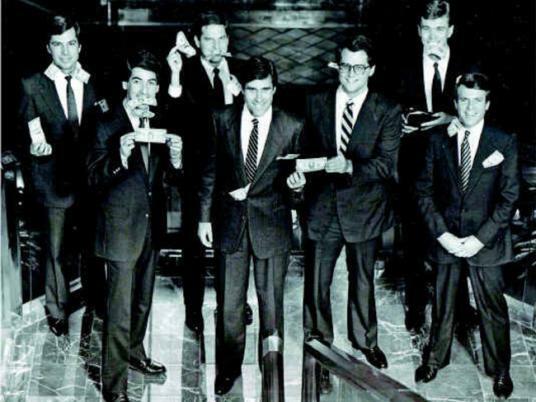 Third and finally, Romney and his surrogates promote his record as a founder and principal of Bain Capital, a Wall Street private equity firm, as his most important qualification for being able to lead the country into a full-blown economic recovery. This is the first installment in a three-part series examining GOP presidential candidate Mitt Romney’s claim that his experience at his private equity firm, Bain Capital, makes him better qualified than incumbent president Barack Obama to become the United States’ “Job Creator-in-Chief.” This installment reintroduces Romney’s main qualifications for president, with a focus on why his Bain Capital track record is revealing of his thinking about job and wealth creation. At a time when the recovery of the U.S. economy from the Great Recession — which began during the Bush administration — is proceeding much more slowly than everyone would prefer, voters will likely place a very high premium on whichever candidate has the most compelling ability to create more jobs for those who currently are under and unemployed in the U.S. And now that the Republican Party appears to have its Rominee, claims that his experience in the private and public sectors, respectively, warrant his receiving the confidence and, more importantly, votes of a majority of the American electorate, are deserving of much greater scrutiny than they have received thus far during the GOP nomination process. Romney’s record as Massachusetts governor presents two near-fatal flaws when it comes to running a competitive campaign for president in 2012. First and foremost, while he was governor he signed healthcare reform legislation in Massachusetts (referred to as “Romneycare” by his GOP opponents during the primaries) providing broader-based health insurance through mandated coverage, on which the Affordable Care Act (referred to as “Obamacare” by the President’s critics) was modeled. Mandated coverage under the ACA is promoted by opponents of President Obama and Democrats in general as the poster child for a government that is too big and too involved in people’s lives, painting Romneycare with that same broad brush of big government overspending and over-regulation. Second, and more relevant to any discussion about Romney’s qualifications as a “job creator,” during his tenure as Massachusetts’ governor the state was ranked 47th out of 50 in job creation. Romney’s record as the man in charge of the 2002 Salt Lake City Winter Olympics is somewhat similarly flawed. While it is beyond peradventure that hosting the Olympics requires considerable management skill, it also requires, and receives, substantial governmental subsidies. It has been argued, for example, that Greece’s current economic death spiral was precipitated, at least in part, by gross overspending on and rampant debt-financing of the 2004 Athens Summer Olympics and all of its sports venue and transportation improvements. The Romney Campaign, while frequently mentioning Romney’s Olympics experience, has been reluctant to rely too heavily on it thus far, most likely because there are a number of countervailing arguments to its validity as a presidential qualification. The Obama campaign and others are likely to exploit these challenges to their advantage if given the opportunity to do so. For example, in a February 21, 2012, report on MSNBC, NBC correspondent Michael Isikoff claimed that Romney spent $3.5 million of Olympic Committee funds to pay lobbyists seeking additional earmarks for the benefit of the Salt Lake City games. So, at least when it comes to his ability to guide the U.S. economy in a more robust recovery than the one for which President Obama takes credit (or is blamed), Mitt Romney’s most compelling qualification is clearly the time he spent at Bain Capital, and how he spent his time there. And that experience has, thus far, been the subject of diametrically opposed interpretations. At its core, Romney’s claim of having superior experience over President Obama when it comes to the U.S. economy is firmly rooted in his private-sector experience. As Romney often put it early on in his campaign “I have experience working in the real economy [emphasis added],” therefore I’m better equipped to manage that economy. I have had considerable analytical difficulty in accepting this claim at face value. This, to me, is like saying ‘I’ve had decades of experience driving on the interstates, therefore I’m eminently qualified to be a highway engineer or Secretary of Transportation.’ One can be very successful at gaming the system to assure more profitable outcomes within the economy without understanding the inner workings of that economy sufficiently well to be entrusted with how that economy might be made to function better for the benefit of all participants. Consequently, it’s critically important to understand the argument his campaign is making about Romney’s Bain Capital experience before any analysis of his track record with Bain can be evaluated in the context of the 2012 presidential race. Such more detailed analysis will be explored in a subsequent blog entry in this series. In order to understand Romney’s reliance on his Bain Capital experience, one must also gain an understanding about how private equity works, the prevailing general ignorance about which has, thus far, benefitted the Romney campaign. Romney’s principal argument about the value of his experience at Bain Capital is basically: I’ve been successful as a private-sector businessman, and I will apply those lessons of success to how I run the federal government. Perhaps owing to its sheer simplicity, that argument clearly resonates for some, particularly at a time when the economic recovery is still sputtering along almost three and a half years after President Obama was sworn into office. The private-sector guy will succeed where the public-sector guy has failed (or, more accurately, not succeeded as much as we all would have liked) goes the Romney argument. However, in evaluating that argument, it’s important to understand that as a private equity firm, Bain Capital’s number one priority was making a return on its clients’ investments, regardless of whether the best way to do so resulted in a stronger or weaker enterprise after Bain took its investment, and a healthy return thereon, out of the target company’s balance sheet. Romney, for his part, has endeavored through various means to draw a direct connection — without getting into the weeds, of course, or providing much in the way of details — between his success as a private-sector businessman and how he would improve the U.S. economy. However, whenever Romney’s claims in this regard are scrutinized in greater detail, they don’t hold up for the propositions for which they’re put forth. Governor Romney, do you believe public companies have any social responsibility to create jobs, or do you believe, as Nobel Laureate Milton Friedman, the most important, most influential conservative economist of the 20th century held, that corporations should exist solely to create maximum profit for their shareholders? I thought Jim Kramer’s question, and Romney’s response, to be so telling on the fundamental issue about how the latter’s private-sector qualifications relate to the Office of the President in 2012, that I devoted an entire blog entry to it — “American Corporations Owe Nothing to American Workers, and That’s a Big Part of the Problem.” In trying to duck a direct answer to Cramer’s intentionally pointed question, Romney revealed, unintentionally, the inherent contradiction between a corporation’s primary obligation to show shareholders a return worthy of the stock’s value, and the notion that somehow corporations are obligated to create jobs. Seemingly, however, very few voters — and only a handful of political pundits — took much notice of this. So, the first part of Romney’s answer to Cramer — “We don’t have to decide between the two, because they go together” [Emphasis added] — is not correct. Under Friedman’s statement, the intellectual basis for Cramer’s question, it is only when the creation of one additional job can be shown to increase, incrementally, the profitability of the corporation (i.e. it maximizes profits) that the corporation will add that new job. If a new job in Bangalore or Taipei meets this metric but the same new job in Anderson, IN, or Montgomery, AL, does not, that new job will not be created in the U.S. I hope that our campaigns can respectively be about the future, and about issues, and about a vision for America. I’ve been disappointed in the president’s campaign to date, which has focused on character assassination. I just think we’re wiser to talk about the issues of the day; what we’d do to get America working again; talk about our respective records. [Regarding the Romney campaign’s upcoming, first TV ad] it’s contrasting with the president’s ad which came out, again, as a character assassination ad. So, my own view is that we can talk about quite a lot of things but the centerpiece of his campaign is clearly character assassination. Romney’s defense of his work at Bain Capital in Friday’s news conference is not only not entirely accurate but it actually borders on the patently misleading. Romney’s comment that “the purpose of the president’s ads are not to describe success and failure” is truly telling. For Bain Capital and, in particular, its investors and principals (including Romney), whether an investment turned out to be a success rarely had anything to do with how an enterprise in which they invested succeeded or even survived once Bain’s private equity investment, plus the return thereon, had been extracted from the company’s coffers and/or supplemented by the capital and debt of new investors and lenders. That success not only was not measured by how many new jobs were created, if any, but by whether Bain Capital could manage to sufficiently show a trend toward profitability (oftentimes through off-shoring jobs, taking steps to reduce domestic labor costs and employee benefits liabilities, and similar cost-saving strategies at the expense of workers and the U.S. economy) that would warrant leveraging the going-forward value of the enterprise in a way that maximized Bain’s return-on-investment. In reality, there are plenty of successful private equity firms that specialize in finding companies that are undervalued and selling off the assets — tangible and intangible — for an aggregate price substantially greater than the price of their original private equity investment. The fact thatRomney claims not to know any of them may say more about his experience and value as a businessman than anything else he’s said for himself thus far in this election cycle. However, as a more accurate and fulsome account of Bain Capital’s modus operandi as a private equity firm unfolds during the general election campaign, it is more likely that Romney will be proved to be an extremely shrewd — and cold-blooded — financial maven when it comes to making winning private equity investments, but not in a way that recommends him as any kind of savior for our flagging economy.